Donna ISD's Disciplinary Alternative Education Program Principal Juan Mendoza was interviewed for his work with the program. Donna ISD’s Disciplinary Alternative Education Program (DAEP) and its successful initiatives were placed in the national spotlight when its campus leader was featured in a video that has been made accessible to school districts across the country. 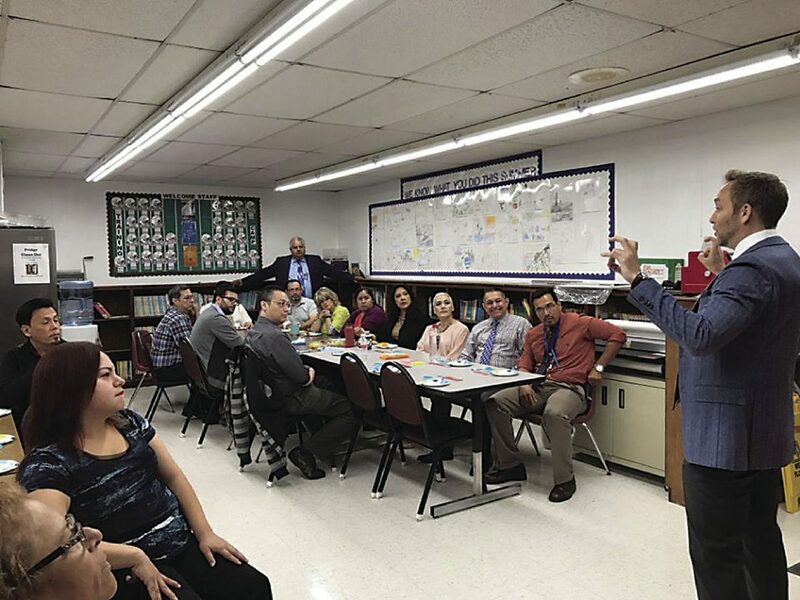 DAEP Principal Juan Mendoza was interviewed and videotaped recently by Aric Bostick, a former teacher and coach who is now one of the nation’s leading motivational speakers and school culture experts in the field of education. Bostick has been a keynote speaker for dozens of national and state educational conferences for students and educators as well as a presenter to hundreds of school districts throughout the United States. Bostick’s most popular and effective work is his year-round online inspirational, motivational and educational tools. “Some of the videos are of me interviewing teachers for a segment we call World’s Greatest Teacher,” Bostick said. “For example, I’ve interviewed Illinois Teacher of the Year Kim Thomas and California Teacher of the Year Alex Kajitani. I’ve also produced videos on modules that teach teachers how they can use their personal story to connect with students in the classroom. Other videos provide strategies on self-care and how teachers can take better care of their bodies, especially because they’re always on the go. One of Bostick’s latest videos showcases DAEP and the campus’ successful programs. He traveled to Donna recently to videotape the segment and surprise Principal Mendoza’s teachers with the news.